Home / Brick making machines / John Young and Robert Boyle, Brick machine makers, Ayrshire. 1845 – John Young from Newton on Ayr, in collaboration with Robert Boyle produced a machine called the ‘Ayrshire Double Acting Patent Tile Machine’. This was adapted from an earlier machine patented by the Marquis of Tweeddale. The device was capable of producing 20,000 drain tiles per day. – Unknown source. 09/10/1845 – Perthshire Advertiser – Double actingtile machine – An important improvement in the manufacture of tiles has been effected by the patent machine above named, invented by Mr. Young, engineer, Newton Ayr, and Mr. Boyle, potter, Ayr; and is admitted, by competent judges, and, amongst the rest, very recently by Dr. Sheirs, Professor of Agricultural Chemistry, Aberdeen, to the most perfect hitherto known. The machine does away with all the difficulties which have been found to attend pipe tile machines, and Mr. White’s invention. The tiles come from the Ayrshire Double Acting Machine without any curvature, and without any straining ; and the cutting the tiles into equal length is admirably performed, without any cessation of the machinery, or any interruption whatever, as it is quite separate from, and acts independently of, the first moving power. It can make all sizes of tiles, from two inches to six inches in the bore, and can be changed from one kind to another in very short time with facility. With two men and five boys, properly qualified, 20,000 tiles can be produced in one day, which, at one foot long, would drain about ten acres of land at 20 feet apart. 11/10/1845 – Glasgow Citizen – Highland and Agricultural Society show at Dumfries – Amongst the implements and machinery which seemed to engage particular attention, we may particularise the following, which we range promiscuously:—Messrs. John Young A Robert Boyle’s (Ayr) double-acting patent tile machine, by which two men and four boys can produce 20,000 tiles, 40.000 soles in one day. All perfectly formed. 14/10/1845 – Fife Herald – Highland and Agricultural Society show at Dumfries – For approved patented articles not coming within the range of any of the foregoing articles – To Robert Boyle, Ayr for his patent tile machine, the medium gold medal or 5 sovereigns. Fort Street Tile Works, Ayr, Ayrshire. 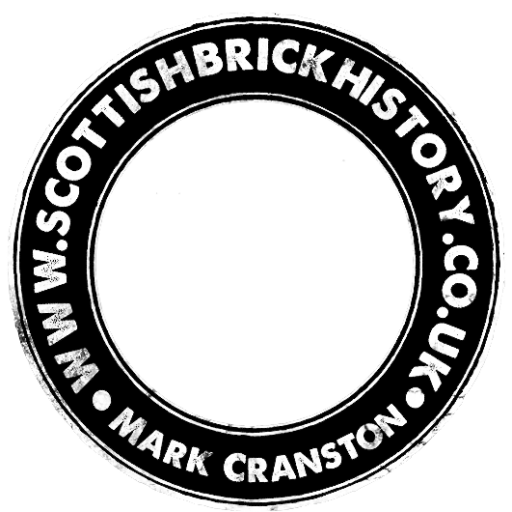 1837 – Robert Boyle of the Drongan Pottery also established a Brickwork at Joppa sometime about 1837 – Source Matthew Yuill. 1837 – Robert Boyle, Brickmaker, Joppa, Ayrshire (Page 281). Below – 1857 – Hole Tile Works, Joppa, Ayrshire 1894 – No reference to the Hole Tile Works on the OS Map.